Oh, Lord, where do we begin? As a fan of this team since 1996 when I was just five years old, I've seen mostly good times, but also my fair share of bad. What I've seen from these New York Yankees over the last 48 hours has been, as far as I'm concerned, as bad as it's ever been. Another lackluster performance from the disaster that is Sonny Gray is one thing, but the entire team absolutely no-showed in an ugly 7-5 loss to Baltimore yesterday. 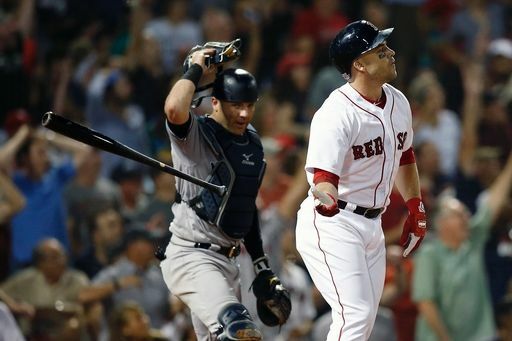 The team looked lazy and apathetic against the worst team in the league, ahead of a crucial four-game set at Fenway Park against the first place Boston Red Sox. Surely yesterday was a wakeup call, no? Absolutely not, apparently. What happened tonight was one of the biggest disgraces I've ever seen, and nobody save for maybe Didi Gregorius is safe from blame. The Yankees started off hot, putting four runs on the board before CC Sabathia would take the mound for his second inning of work. But then it all fell apart. What I witnessed next was the most embarrassing display of baseball I've seen from the Yankees in my lifetime. A loss is a loss, but tonight feels like so much more because it's potentially indicative of the attitude, heart and passion of this team the rest of the way. Sabathia wasn't sharp in the second, but he limited the damage to just a run. In the third, he allowed a solo home run to Steve Pearce and evaded more trouble, but did not return for the fourth, having thrown 77 pitches through his three innings of work. We all know what happened next. A cataclysmic breakdown the likes I can barely put into words. Jonathan Holder was absolutely useless – allowing all seven batters he faced to reach base. Chad Green came in next and was equally as useless. Despite recording two outs, he too was hit hard, allowing a double and two singles with two more runs coming across to score. Luis Cessa came in for garbage time duty, he too was useless, and the night was lost. -Jonathan Holder throwing BEHIND Jackie Bradley, Jr. when he had him dead to rights off of third. Bradley scored in a rundown at the plate. You would think that this team getting embarrassed at home, against the Orioles, would be rock bottom, right? You would think that the manager would absolutely unload on this team for their lackadaisical play in a game they had no business losing, right? You would think this team would be up for the biggest road series of the season, right? Wrong, wrong, and wrong. Everything failed tonight. It's one thing to get outplayed by a better team. And trust me – right now, Boston is indisputably the better team. But it's something entirely different to not care AT ALL. This team has no self-respect and no motivation. They are not having fun anymore. They are run by a manager that wouldn't dare ruffle feathers because he values personal relationships with his players over a swift kick in the you-know-what. I am disgusted to call myself a Yankees fan tonight. I've stood by this team when they had far worse records, but they played with pride and honor. I saw none of that - nothing that is synonymous with The Yankee Way - tonight. Lou Gehrig, Joe Dimaggio & Thurman Munson are all rolling over in their graves on this night. Nothing about this team is fun anymore and I simply cannot tell you where they go from here. I guess there's nowhere to go but up once you've hit rock bottom? The question remains...is this actually rock bottom?